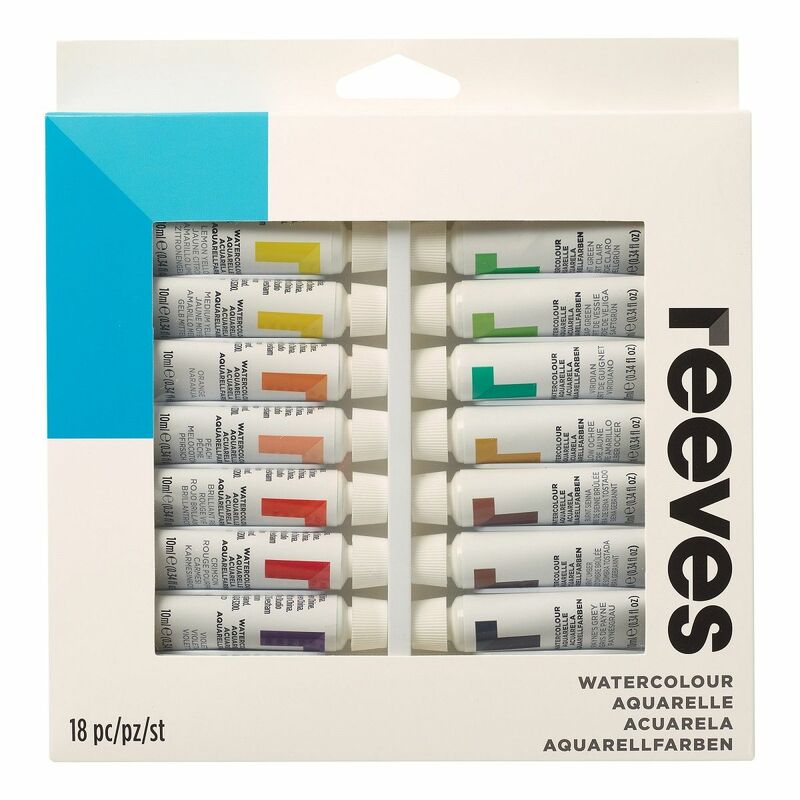 Reeves Water Colour Paints possess excellent lightfastness and colour brilliance qualities. 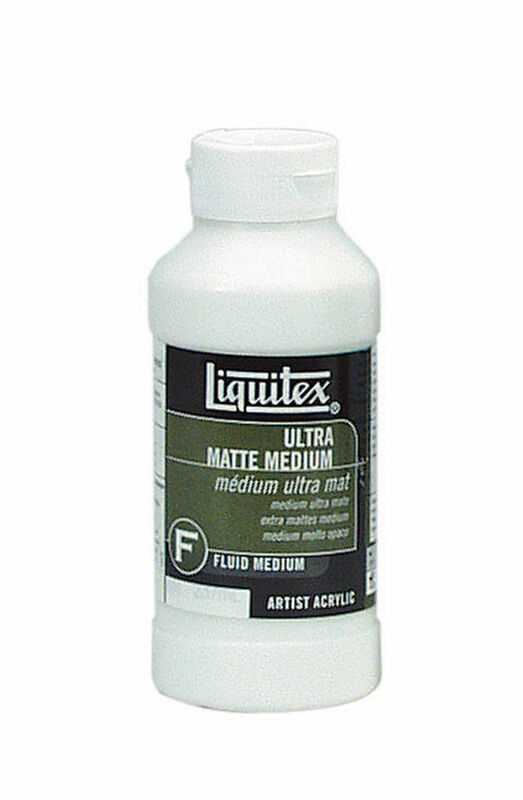 Water colour is one of the most widely used painting methods in the world. that can be achieved when using water colour. other painting materials can be cleaned up easily with soap and water. 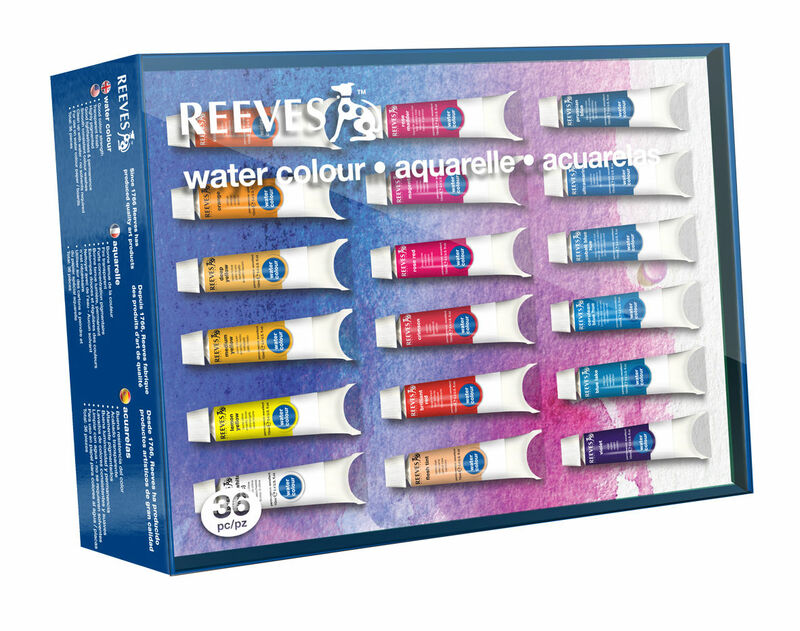 Watercolour is the perfect medium for use in colleges, at home, or in a studio. 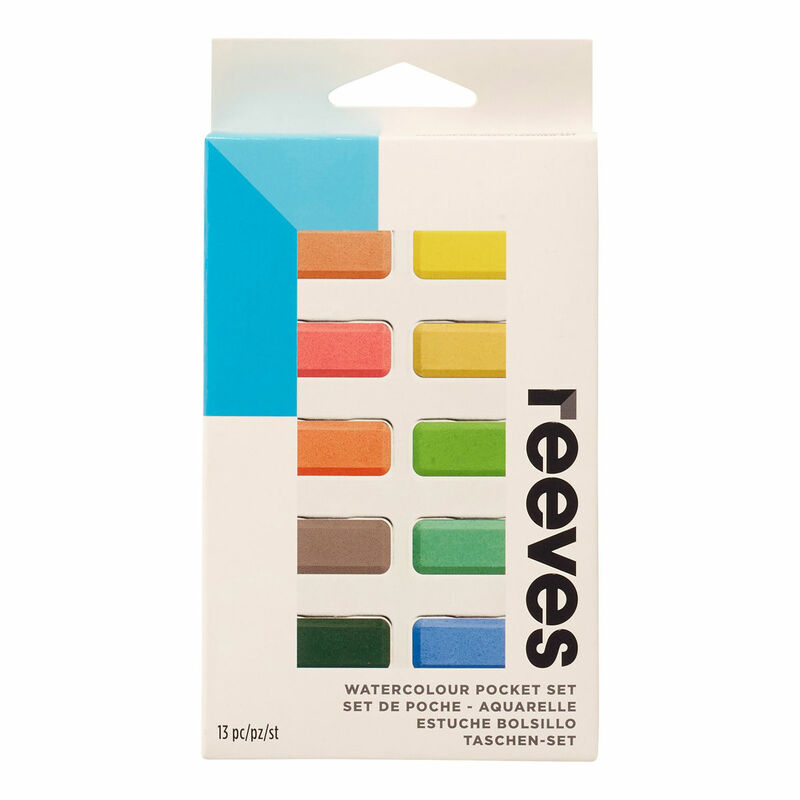 The watercolour tablets in this set are pigment rich to provide brilliant colours. 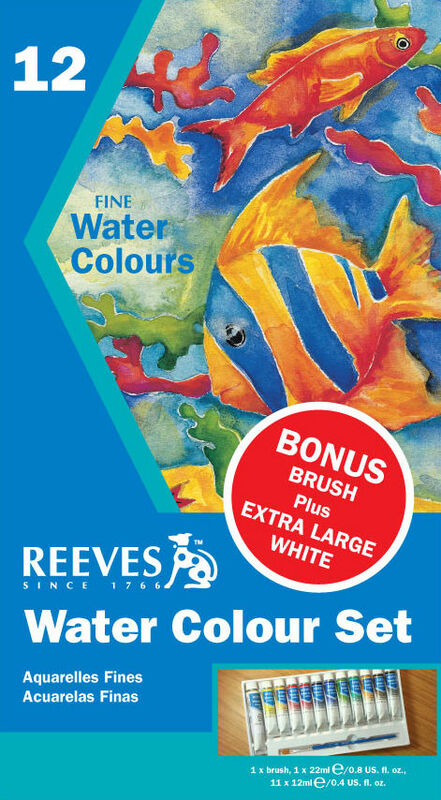 The paints will give a transparent and translucent finish to your water colour artwork. 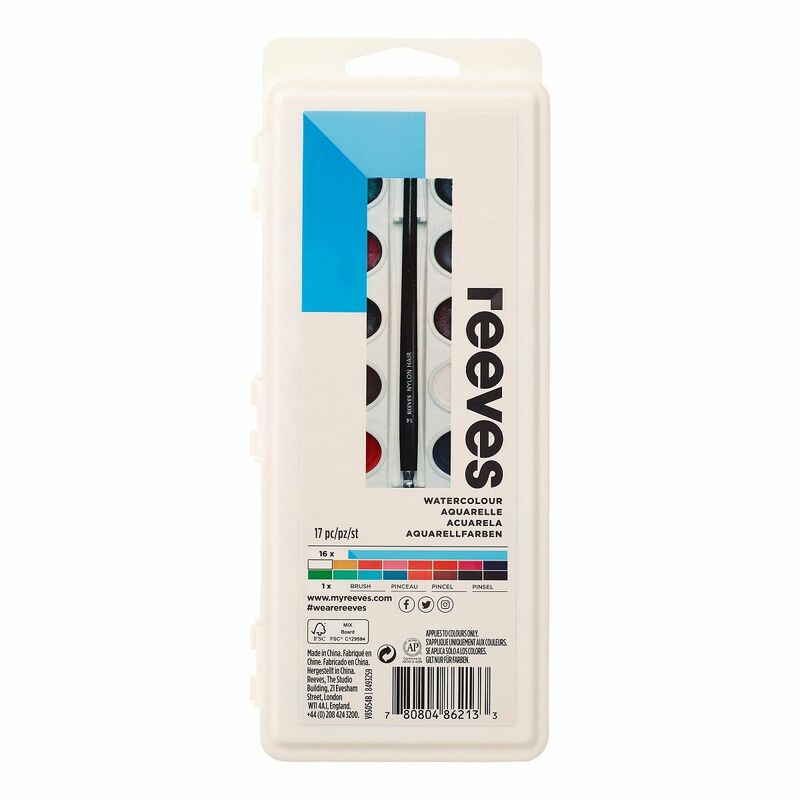 Packaged in a handy metal tin so that you can take your paints with you wherever you go. 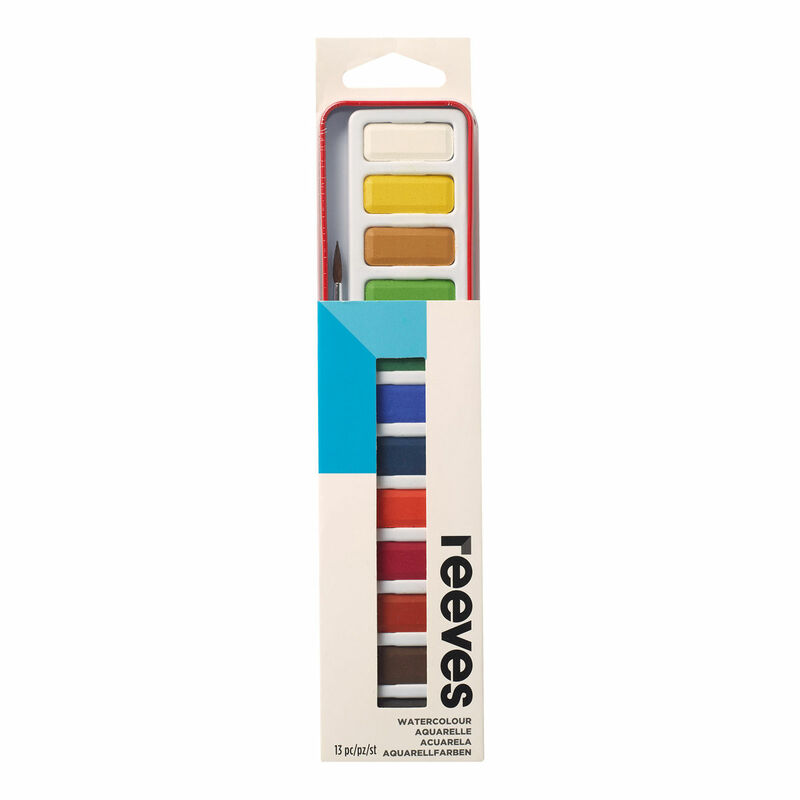 A paintbrush is included with this set. 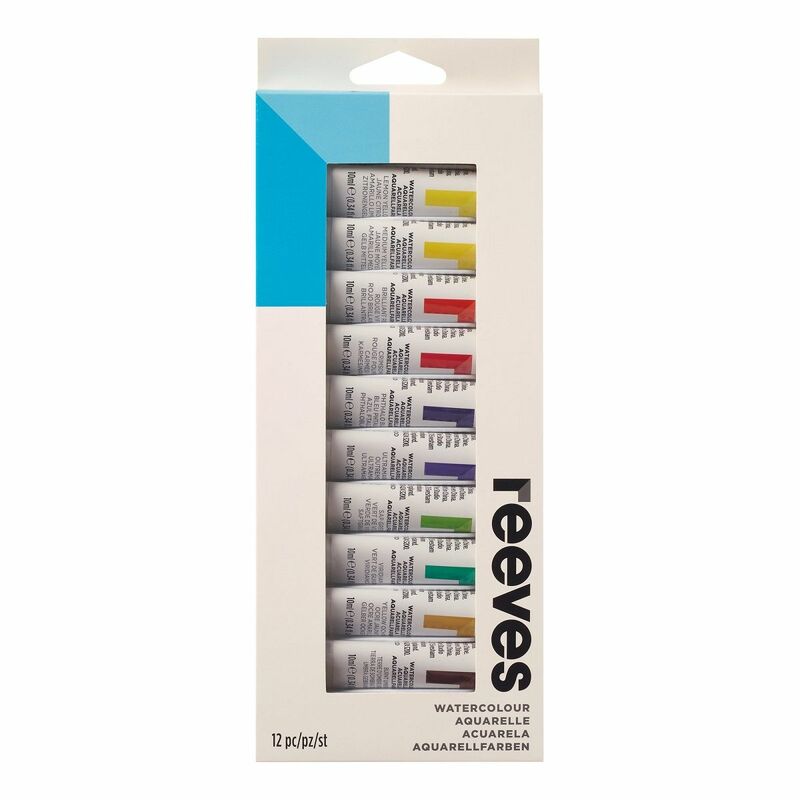 The colour assortment in this pack are titanium white, lemon yellow, medium yellow, brilliant red, crimson, phthalo blue, ultramarine, sap green, viridian hue, yellow ochre, burnt umber and ivory black. 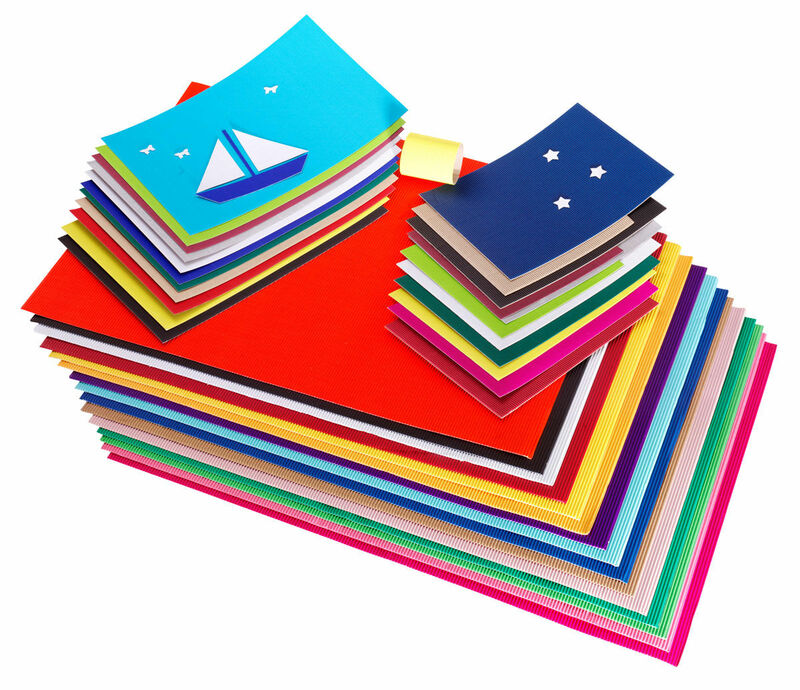 Add an interesting textural effect to your craft work with this corrugated board. 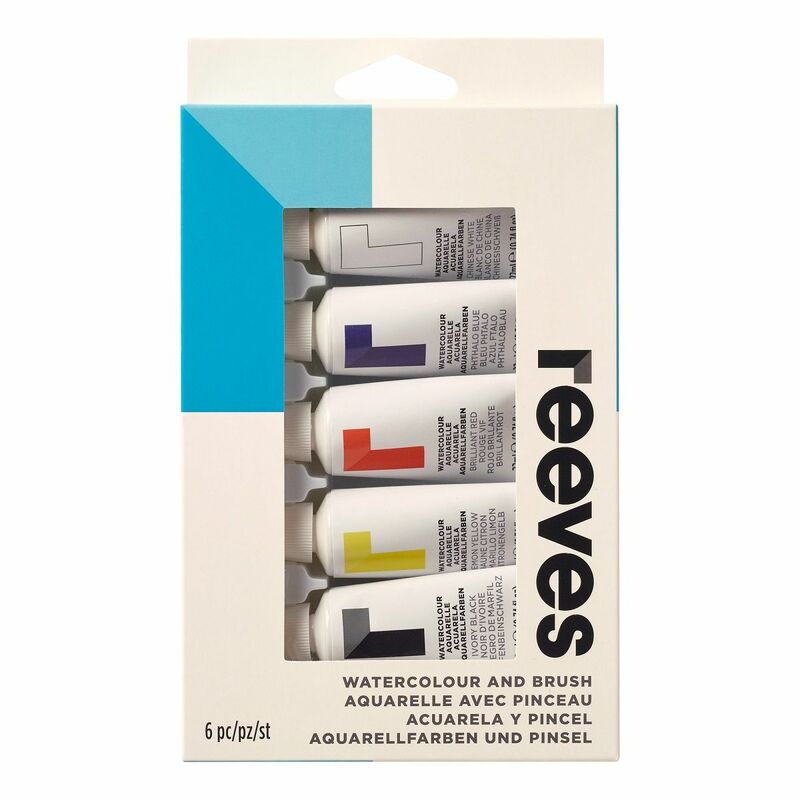 The Reeves Artist Brush Sets range, made using pony hair, is suitably created for Reeves range of Water Colour paints. 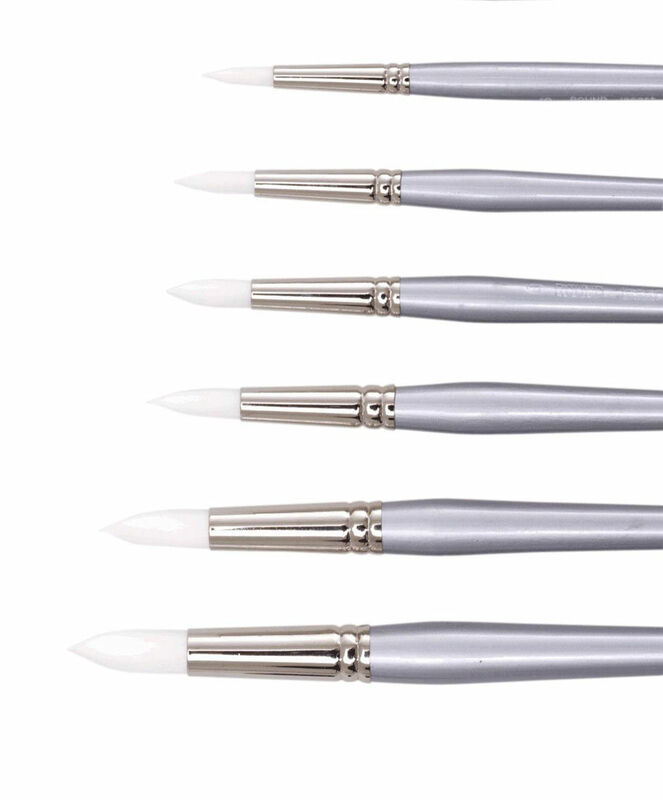 Round bristles are excellent for fine details and highlighting. 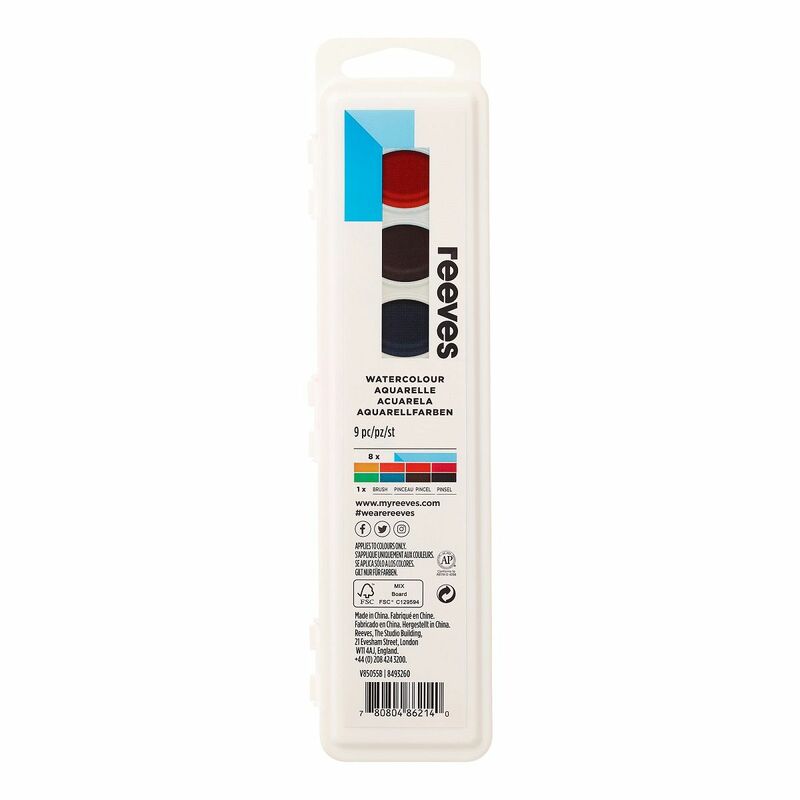 White Taklon is suitable for use with water colour, acrylic and gouache paints as well as for mixed media.